Tree-climbing, puddle-jumping, garden-exploring – everyday adventures are our favourite kind. 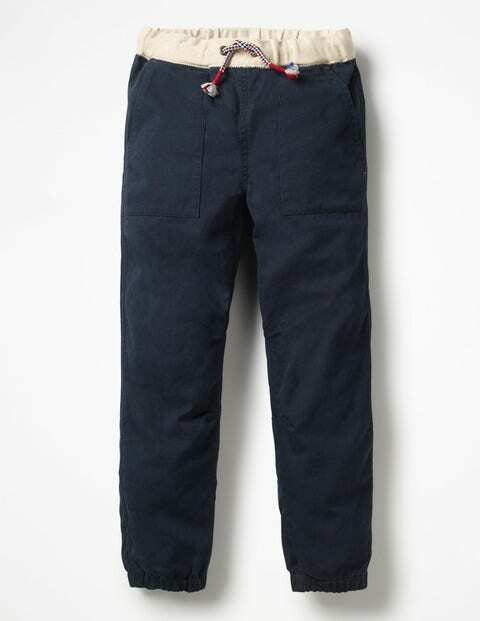 These slouchy and stretchy trousers make the perfect companion, with a drawcord waist for comfort, and front and back pockets for the essentials, like slugs and sweets. Cuffed ankles mean no more muddy hems.